Startups in seafood and aquaculture technology raised $193 million in 2016, a 271% increase on the $52 million raised across both 2014 and 2015, according to AgFunder research. Investment in seafood-related startups grew in 2016 as investors and entrepreneurs are starting to slowly wake up to the huge opportunity the market presents. AgFunder recorded 28 deals during the year ranging from startups building aquaculture systems, manufacturing fishmeal alternatives, and biological therapeutics, farming insects to replace fishmeal, farming and using algae for fish and human consumption, and building precision farming hardware and software analytics solutions. While it’s promising to see a growing startup industry focused on the space, the industry is still a very long way from being technology-enabled, efficient, and sustainable. “Aquaculture technology is becoming more mainstream, and investors are starting to understand the space more which makes our life easier, but we are shocked by the archaic operations methods still used by some large fish farms globally, particularly when it comes to keeping operational records,” said Amy Novogratz, managing partner at Dutch venture fund focused on the sector Aqua-Spark. Environmental sustainability, food safety, traceability and operational productivity are some of the key areas in need of innovation and disruption that startups are starting to address. Before we look at the different seafood and aquaculture technologies that raised funding in 2016, let’s first look at some of the macro fundamentals and challenges facing the seafood industry today. People are eating double the amount of fish they were eating in the 1960s, eating an all-time high of 20kg each a year, according to the Food and Agriculture Organization (FAO). This increase comes despite stagnation in wild fisheries and is a result of a stronger supply for fish from fish farms (aquaculture), and record hauls for some species. Compared to other animal-based proteins, fish is six times more efficient at converting feed than cattle, and four times more efficient than pork, Manuel Barange, director of FAO Fisheries and Aquaculture Policy and Resources told BBC News. “Therefore increasing the consumption of fish is good for food security,” he said. The health benefits of other aquatic organisms, such as algae and seaweed, are also creating extra demand for these crops as ingredients in health supplements. Algae is also being grown for other industries including animal feed and even bioenergy. But at the same time, almost a third of commercial fish stocks are now fished at biologically unsustainable levels, triple the level of 1974, according to FAO’s State of World Fisheries and Aquaculture (SOFIA). Just over 31% of the commercial wild fish stocks regularly monitored by FAO were overfished in 2013, meaning they cannot be routinely fished without long-term depletion, a level that has been stable since 2007. Aquaculture Technology to the Rescue? According to FAO, an additional 27 million tons of fish production will be needed to maintain the present level of consumption in 2030. Currently, about half of all seafood for human consumption is produced through aquaculture, and FAO predicts that by 2030, it will be responsible for nearly two-thirds of the fish humans consume. The FAO estimates that over 600 aquatic species are produced globally in a variety of aquaculture systems using freshwater, brackish water or salt water. 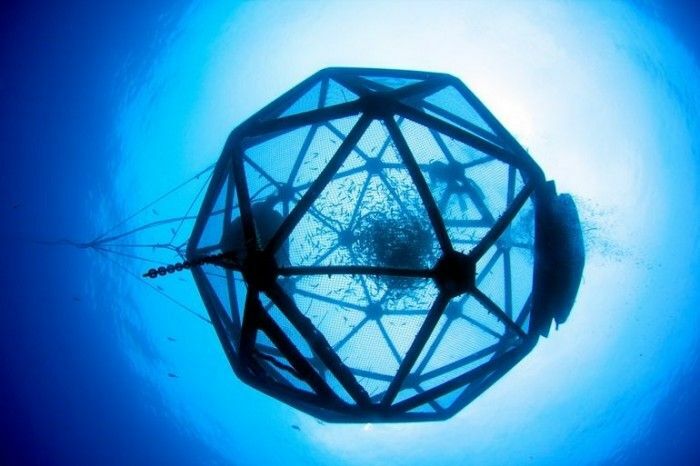 There are various forms of aquaculture, some which date back centuries, particularly in parts of Asia, such as the net pens or cages that are anchored in the sea near the coast. Some farms are operating closed systems of tanks or ponds that float on water or operate on land. In the early days, fish farming had a reputation as unsustainable; in 1997, it took almost 3 tons of forage fish to produce one ton of salmon, according to research by Columbia University. There are also environmental concerns, particularly with ocean-based systems. Fish waste can lead to nutrient pollution and even oxygen depletion in the surrounding environment. Any antibiotics or pesticides used in the fish farm can also affect other marine life and can sink to the sea floor. This could have a lasting impact, which recent headlines about long-term ocean pollution from now-banned industrial chemicals confirms. The close proximity of the fish to one another can cause disease and parasites, which can also spread to wild species, and escaped fish can impact the genetic diversity of wild species if they breed. Land-based systems can minimize much of this, but they are expensive to run as Diane Durance, director at UNCW Center for Innovation and Entrepreneurship, discovered with a project in Michigan. Her idea was to grow fish in indoor recirculating tanks that could be deployed on family farms in the state to help farming families bring in an extra $40k a year and stop them needing to take on other jobs to support their families. “I was a bit ahead of my time as there was really no way to do it in an economically viable way in Michigan. The cost of fish feed and the energy to run the system was too high,” she told AgFunderNews. Startups are working to solve some of these challenges in aquaculture. 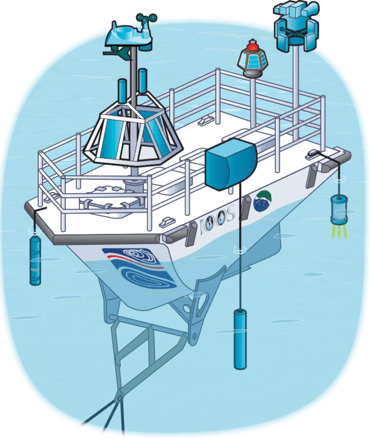 Kampachi Farms has a novel aquaculture system called an Aquapod that’s attached to a barge in the open ocean, where the currents are strong enough to flush the waste and pests away, reducing the need for antibiotics and vaccines. And some aquaculture systems are using novel recirculation technologies that are recycling water in land-based aquaculture systems and even producing biogas and fertilizer from the wastewater. Aqua-Spark estimates that the world will need about eight times more aquaculture feed than today by the end of the century which translates into 400 million tons. Fishmeal is largely produced from small marine fish, or “forage fish” not suitable for human consumption, although that’s now open to debate. A third of global wild fish harvest goes towards fishmeal but with global stocks of wild fish declining, and some sources pointing to the crash in some forage fish populations, this is an unsustainable source of food for farm-raised fish long-term, even with increasingly sustainable practices employed by the fishmeal and fish oil industry. Plant-based fishmeal feed alternatives to other fish such as soybean are not a viable alternative in the long term as soy production is estimated to reach 375 million tons by the end of the century and that includes feed for meat animals and humans, said Mike Velings from Aqua-Spark. The industry will need fishmeal replacements or supplements, such as soybean oil, insects, and algae, he added, and there are some startups working to provide these. Ensuring a sustainable supply of seafood to meet increasing consumer demand is not the only challenge facing the industry. Seafood fraud is a big problem with one-third of fish, shrimp and crab cakes mislabelled in a study conducted between 2010 and 2015. Oceana, the foundation-backed initiative focused on protecting and restoring the oceans on a global scale which conducted the study, found that the fish was often a less desirable or lower priced species than on the label. Oceana also observed some retailers selling threatened species as more sustainable, expensive varieties, as well as safe fish substituted with those that can cause illness. Efforts to track fish from the sea to the plate are growing, and there have been some successes in the wild capture space, according to Novogratz of Aqua-Spark, but not, surprisingly, when it comes to aquaculture. “With aquaculture, we should know everything about what the fish ate, if and when they received vaccines, and especially once they leave the farm, but there’s something that isn’t sticking along the way,” she said. While there are a multitude of opportunities for entrepreneurs and technologists to solve some of the above challenges, there are also challenges on the adoption side. Similar to the land-based agriculture world, adopting new technology requires a change in behavior in the seafood, which is an entrenched, traditional, and largely opaque industry. There are also generational factors, and limitations in access to capital to invest in new tech. Novogratz from Aqua-Spark thinks financing is the biggest issue, as well as a lack of understanding about what technology is out there available to the seafood industry. Catalina Sea Ranch, which raised a $1.5 million seed round is an example of an aquaculture operation farming mussels off the coast of California, while France-based myfood is a vertical aquaponics technology company. Other startups are farming algae and seaweed for various applications. Considering how large this segment is in land-based agriculture, it is surprising how few startups are working to provide fisheries and fish farms with data analytics to improve their operations. In 2016, just three raised including The Yield, AquaCloud, and Seasmart. A drone company dedicated to the maritime industry also raised funding during the year. Catalina Sea Ranch is also developing an Ocean Internet of Things, which is capturing data around its mussel farm for use in industry research as well as operations. Five startups growing insects for fish feed raised funding during 2016. They include Ynsect, AgriProtein, Hexafly, Khepri, and nextProtein. Other startups are making fishmeal alternatives from microalgae, microbes, soil, and methane. Those that raised funding in 2016 include KnipBio, CyanoFeed, Calysta, and Microsynbiotix. Algae and seaweed are known to have health benefits, particularly strains such as spirulina, so they are a growing number of companies using the aquatic crop in health supplements, for food colorings, and other non-food uses including bioenergy. This category includes Algama, Spira, KeyNatura, Solazyme, and ZIVO Bioscience. Helping to fill gaps in traceability and tracking and shorten the supply chain, three startups with e-commerce platforms raised funding during the year. They include Gfresh, which also provides cold chain logistics and inspection services, Coastline Market, and Ocean Executives. One startup looking to replace the seafood industry alternative is New Wave Foods, which is creating food products that mimic seafood but by using plant-based sources. There are startups focused on solving other challenges that did not raise funding in 2016. Traceability and transparency is a key area, which we’ve written about before. It is also a focus this year at the industry’s largest startup competition Fish 2.0. The biennial event is in its third year and appeals for startups and technology companies to apply across various themes to win cash prizes. There are two global tracks — transparency and traceability, and supply chain innovation — as there are similar challenges in these areas across the globe. The competition also has six regional tracks, recognizing the different dynamics of the seafood industry in different parts of the world. The regional tracks are New England, US, Southeast Asia, South Atlantic and Gulf Coast Shellfish, Chile & Peru, the West Coast of the US and the Pacific Islands. Monica Jain, the competition’s organizer, says that one of the main challenges for seafood and aquaculture technology startups is a lack of investors. But she is excited to see a growing number of investors attending the event and engaging with the sector. The competition has helped companies raise at least $30 million since starting in 2013, she added. Would like further information about the Aquapac Kampchi farm plez.